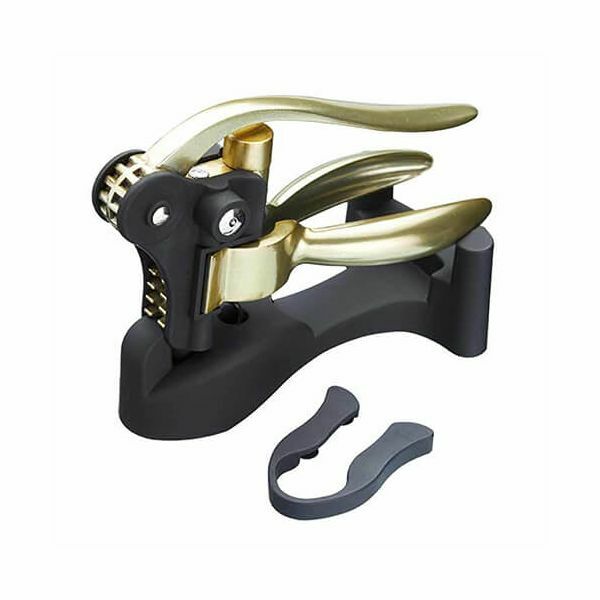 The Lever Arm Corkscrew features a luxurious gold finish and a sleek black body. 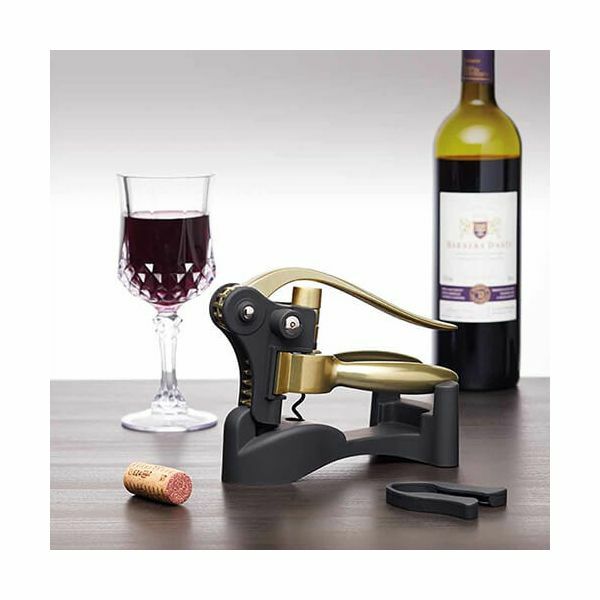 Ideal for quickly and easily opening corked bottles, this Lever Arm Corkscrew is fast and practical. Included in the set is a foil cutter that with a simple twist action will allow foil to be easily removed from your bottle. The Corkscrew comes with a black stand for storing when not in use and looks great on display.